A police captain that was punished for refusing to participate in an Islamic worship service is awaiting a ruling from a federal court after attorneys filed a motion this week for summary judgment. Captain Paul Fields of Tulsa, Oklahoma was ordered last year to attend “Law Enforcement Appreciation Day” hosted by the Islamic Society of Tulsa at a local mosque. The event, which was to be held on an Islamic holy day, was to include a tour of the mosque, an Islamic prayer service, lectures on the Islamic faith and meetings with local Muslim leaders. 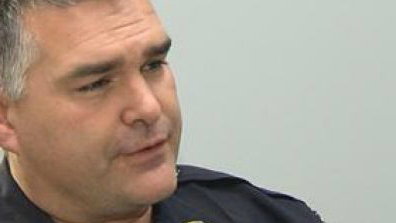 The police department issued a statement as a result of outrage from supporters of the captain. However, Fields believes that he was still required to partake in ways that violated his convictions, whether it included joining in the prayers and sermons or not. Fields subsequently filed a federal civil rights lawsuit against the City of Tulsa, Chief Charles Jordan and Deputy Chief Alan Webster. On Tuesday, after spending months poring through documents requested in the legal discovery process, the American Freedom Law Center (AFLC) filed a motion for partial summary judgment. Summary judgment is requested in cases where there is no dispute of the facts. Granting summary judgment would mean that the federal court would rule in Fields’ favor. A decision will likely come in the next several months. Other aspects of the case will head to a jury trial, which is scheduled for December.